Buying A BMX Bike? Watch this! 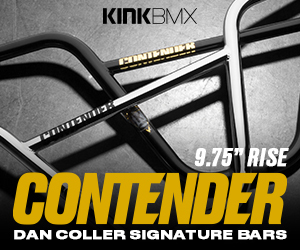 When it comes to complete BMX bikes, there are a TON of options these days in all sorts of price ranges, colors, sizes and options. Sometimes the inexpensive priced bike looks nice, but that also usually means the quality of the frame, bars, fork and parts are probably lower end and easier to break, which will cost you more in the long run to fix and replace what breaks. Here’s a video Brant Moore put together with a unique BMX Bike Buyers Guide that can help you weigh your options between all the options of different bikes to see which bike has the best options for the best price. Brant also explains the different materials like chromoly versus steel, aluminum vs steel or chromoly, plastic vs metal, etc. Brant also compares buying new versus used. It’s an extensive look at buying a BMX bike that can definitely help if you’re looking to get the most bang for your buck. “In this video I talk about an extremely simple and easy to use guide for deciding which BMX bike to buy. Buying a BMX bike can be an extremely overwhelming and exciting task. What features do you want? What brand? There are so many factors that it can get to be a bit much. The table shown in this video helps to convert all of these factors into a way to compare different bikes and easily see which offers the best value. You are here: Home / BMX Videos, Products, News and More / Buying A BMX Bike? Watch this!